Woolf's last decade is under-appreciated both by general readers and by scholars, although there seems to be growing scholarly interest in her final, not-quite-finished novel Between the Acts. ("Under-appreciated" is, of course, relative — Woolf is one of the most-studied writers of the 20th century, and many of her contemporaries don't have even a small percentage of the attention for their entire ouevres that Woolf has for her least-read writings.) The relative lack of interest in Woolf's life and work after The Waves has various sources, many of them having to do with why readers are attracted to Woolf in the first place. Her achievement with Mrs. Dalloway, To the Lighthouse, and The Waves is one of the great literary triumphs of the 20th century — these books reconfigured the novel as a form and the language as a medium. (Orlando, her first bestseller, isn't far behind as an achievement.) She wrote hundreds of essays, with many of her most powerful statements about aesthetics and literature being in the essays of the 1920s, and she finished the decade with A Room of One's Own, one of the most influential essays of the century. It's no surprise that the 1920s is the decade focused on by the majority of Woolf scholarship, and that decade's work what most readers are familiar with. That focus, though, does have an effect on how Woolf is perceived as both a person and a writer. My own academic study has mostly focused on The Years, which I wrote about a few years ago here as I was beginning work on it; more recently, I have an article in the latest Woolf Studies Annual (vol. 24), "The Reader Awakes: Pedagogical Form and Utopian Impulse in The Years". I'll have a few words for it below. However, if there were one post-Waves Woolf book that I would want to put in everyone's hands right now, it would be Three Guineas in the Harcourt edition that Jane Marcus edited. Lots of people hate this book. It is Woolf's most developed, strident, and often angry statement against militarism, fascism, and patriarchy. Its critiques are as bracing and necessary today as they were in 1938. That does not make it an easy read, because Woolf's ideas do not separate fascism, militarism, patriotism, nationalism, despotism, and patriarchy — while most readers are likely to disapprove of any one of those things, few readers reject them all, and so the links Woolf makes are ones that raise the blood pressure of nearly everyone who encounters her text. That she does all this via a complex structure of narrative voices and literary and historical allusions only makes it all the more difficult to parse exactly what she is advocating at any one moment. It is a book that confronts and confounds. As such, it is uniquely clarifying when read carefully. As for The Years, I've sat in multiple conference sessions where it would be a perfect example for whatever the session's topic is, and while other, less apt, Woolf works are discussed, The Years is skipped over without mention. There are major Woolf studies that leave it out entirely. (Not quite as many as leave out Flush, which perhaps vies with her biography of Roger Fry as Woolf's most forgotten and neglected book.) The Years gets treated as expendable in a way Mrs. Dalloway and To the Lighthouse never are. Though some scholars have certainly given excellent attention to The Years, it remains possible, for instance, for Jane De Gay in Virginia Woolf's Novels and the Literary Past (2006) not only to analyze each of the novels except The Years, but to never explain this omission — the book's title doesn't appear anywhere in De Gay's text that I've found. 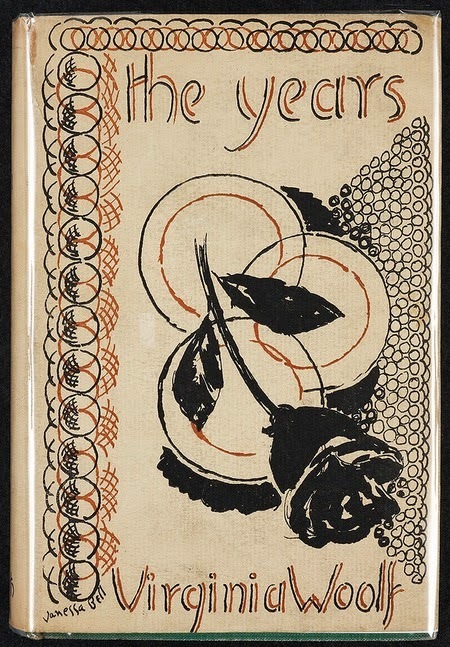 Similarly, The Years makes barely any appearance in Emily Blair's Virginia Woolf and the Nineteenth Century Domestic Novel (2007), where it might be expected to get at least a few paragraphs of analysis, if not a whole chapter, given its close relationship to domestic novels (but at least Blair makes no pretense of covering all of Woolf's novels — The Waves is also absent except for a couple of footnotes. Still, The Years owes so much to 19th century domestic novels that the absence screams out). Aside from a small group of scholars who demonstrate some appreciation for what The Years achieves, most Woolfians dismiss the novel as a failure. The problem for The Years is that many people have a very set idea of what a "good Woolf novel" must be. Woolf's better-approved books of the mid-1920s, for all their innovations, still have trackable characters with distinct personalities and voices, narratives with easily-noticed organizing principles, and details which clearly serve those principles. Perhaps more importantly, Woolf's "good novels" are overtly, even ostentatiously experimental — one Years-skeptic, Pamela Transue, calls The Waves "a unique literary creation, daringly experimental in style, structure, and theme" and writes that "On almost every level … The Waves is in part a comment on the limitations of the novel in its classic form." For Transue, The Waves is successful in all the ways The Years is not. Such an evaluation fails, though, to read the books on their own terms. The specific reading strategies that lead to an appreciation of The Waves are not the specific reading strategies that will lead to an appreciation of The Years, as the two novels are — and were from the moment Woolf conceived The Years — almost exactly opposite in their experimental approach to the idea of the novel as a form and genre. No-one would ever mistake The Waves for a conventional novel, and the position it puts the reader in is that of someone who must discover how to make sense of the text while reading, rather than being able to benefit from knowledge of novelistic conventions. From the first pages, the reader of The Waves knows that this is not a novel that follows the traditional conventions of the form. That is one type of experimental writing (the sui generis text), but another is the text that unsettles conventions from within. The innovations of The Years are embedded within the reader's perception of the book as a novel. It becomes a new kind of "comment on the limitations of the novel in its classic form" for Woolf, and something more than a comment, because readerly experience is central to the effect. The critique of the novel form woven through The Years is activated via the expectations the reader brings to it. The Years sets up an antagonism between the reader and the text. Where The Waves stretches toward being an anti-novel in the way it excludes so much of what is conventional within novels generally, The Years teases familiar novelistic conventions to frustrate and then reshape them, making The Years a detournement of the novel. The Waves requires the reader to learn how to read it from scratch, because from the first pages it is clear that few of our assumptions about how a novel works will be applicable with this book, whereas The Years teaches the reader to see the inadequacy of received ideas about how a novel makes meaning and what within a novel is most meaningful. For the critique of patriarchy and family that was so important to Woolf's project in the 1930s, the novel form itself needed to be pulled apart from the inside. She had gathered, she said in her diary, "enough powder to blow up St Pauls", but for the most effective demolition, she needed to place that powder inside the structure itself. 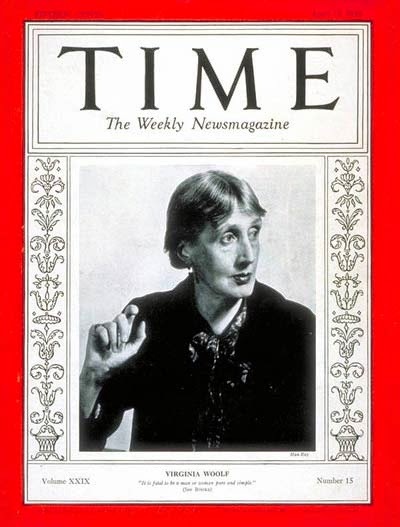 Because Woolf's writing of The Years is well documented through her diary and the various manuscripts, many scholars have gone to the manuscripts and found themselves disappointed by the choices Woolf made for the final version, particularly how she systematically cut explicit critiques of patriarchy in favor of embedding them within the structure of the whole, requiring the reader to pay close attention to repetitions and implications in the text rather than relying on characters who proselytize or whose fictional situations are designed for polemical purposes. Some of these critics take their disappointment out on Woolf by accusing her of cowardice because she wrote a subtle novel. The latest person to do this is Molly Hite, in her (otherwise often quite interesting) recent study Woolf's Ambiguities. Hite looks at the differences between Woolf's initial plan for The Years and its final form and says that "this change in form was not 'a good idea' aesthetically, although the step back into a less experimental structure may have been necessary for Woolf herself because of her own psychological involvement in the materials she had collected", a statement I find stunningly inaccurate and patronizing, but it's typical of readers who prefer to psychoanalyze Woolf than to really look at what the texts are doing as texts. 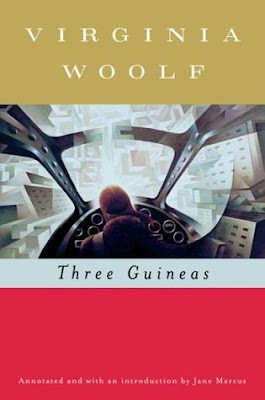 Alice Wood's thorough and accessible study Virginia Woolf's Late Cultural Criticism is an important corrective to a lot of the received opinion about The Years and Three Guineas. Wood looks closely at the development of the manuscripts into final form, and insightfully shows what choices Woolf made as she went along. Such careful attention to the texts allows Wood to demonstrate once and for all that The Years is an impressive aesthetic achievement, even if readers like Hite (and Grace Radin and even, to some extent, Jane Marcus) see Woolf's choices as disappointing failures of nerve. For anyone with an interest in Woolf's later work, Wood's book is essential. I offer these scattered thoughts on this anniversary of Woolf's death because I want to counter the view of Woolf's last decade as one of fragility and decline. It would be a mistake to posit The Years or Three Guineas as the equal of Mrs. Dalloway and To the Lighthouse; they are not. Those works are singular. But The Years and Three Guineas are fascinating, compelling books when read with an open mind and an eye sympathetic to the complexities that they sometimes quite subtly hide. The narrative of Woolf as a fragile woman whose final decade doomed her to slip into the waters of the River Ouse is noxious to me. Up to the end, she challenged herself to find new forms, to avoid repetition, to upset conventions. In one of her last, great essays, "Thoughts on Peace in an Air Raid", she said: "'I will not cease from mental fight,' Blake wrote. Mental fight means thinking against the current, not with it."